﻿ Best Price on Costambar in Puerto Plata + Reviews! 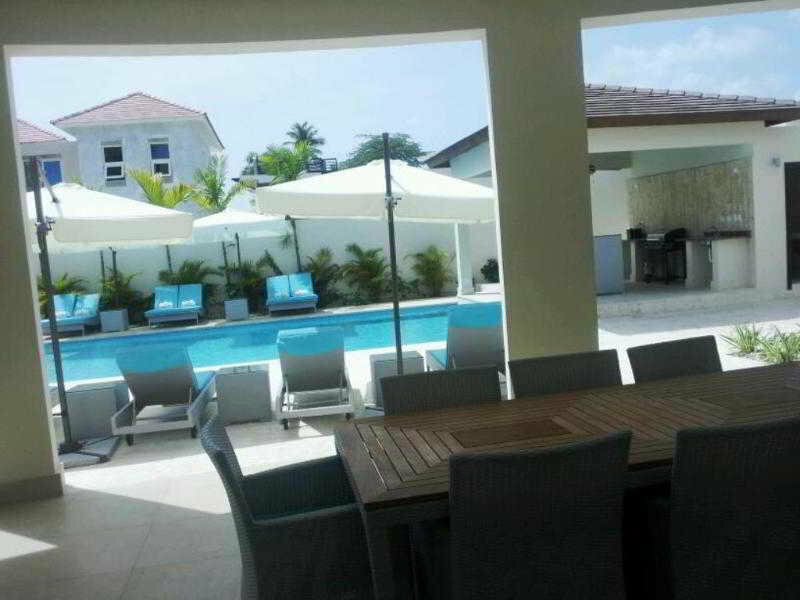 Located in San Felipe de Puerto Plata, Costambar offers an outdoor pool and free Wi-Fi. This bright property is just 164 feet from Playa Costambar beach. Each apartment here includes a seating area and a small kitchenette with a sink, toaster and electric hob. The bathrooms include a shower, toilet and towels. At Costambar you will find a garden and a shared terrace, and guests also have access to a shared washing machine. The San Felipe Fort is less than 4.3 mi from the property, while Playa Dorada Golf Club can be reached in 15 minutes by car. Gregorio Luperon International Airport is a 30-minute drive away. Please inform Costambar of your expected arrival time in advance. You can use the Special Requests box when booking, or contact the property directly using the contact details in your confirmation. Guests are required to show a photo ID and credit card upon check-in. Please note that all Special Requests are subject to availability and additional charges may apply. If you require an invoice when booking a prepaid rate, write this and your company details in the Special Requests box. This property does not accommodate bachelor(ette) or similar parties. Tranquil place with elderly European tourists, except on Sundays, when vivid Dominicans come to spend the day on the beach. The local touch would be nicer if Dominicans would learn not to trash their beaches and respect the space of the others.